Is Hawaii Five-0 cancelled or renewed? Imi loko ka ‘uhane and you will find the answer. Yes, it’s true. The Hawaii Five-0 TV show has been renewed for season eight on CBS. Airing on the CBS television network, Hawaii Five-0 is a reboot of the original CBS TV show, which ran from 1968 to 1980. The police procedural stars Alex O’Loughlin, Scott Caan, Daniel Dae Kim, Grace Park, Masi Oka, Lauren German, Michelle Borth, Chi McBride, and Jorge Garcia. The seventh season of Hawaii Five-0 is averaging a 1.20 rating in the 18-49 demographic with 9.52 million viewers. Compared to season six, that’s up by 5% in the demo and up by 9% in total viewers, so the renewal was expected. Check out how this action drama stacks up against the other CBS TV shows. What do you think? Are you a fan of the Hawaii Five-0 TV series? 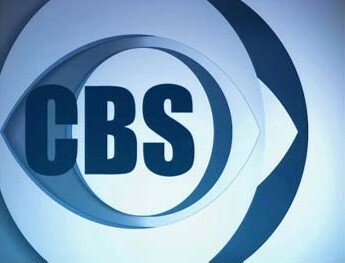 Do you plan to watch the eighth season on CBS? Started to watch the new show but it’s just like when they found Kona cadet, problem, need an undercover, blah, blah. Brother who’s a problem turned it off. Nothing new there. Great show. Are Daniel Dae Kim and Grace Park coming back? Heard they were not because of Contract troubles. I love love love Hawaii 5 0! I was also a big fan of the original. I am a 65 year old grandmother. Do not overlook the older fans. Hate to see 2 of my faves leave but am looking forward to the new guys. See you every Friday night at 8. Love this show especially Daniel Dae Kim, hope to see him in more episodes. So happy!!!! I love love love this series!!! What happened to the character who plays Max? Why is he leaving the show?